My name is Rosalie James. Since my introduction to dachshunds 7 years ago I have become completely devoted to this most endearing, quirky breed. I initially began rescuing privately. Some of my first rescue daxies had been quite badly treated and consequently required a lot of time and care. I had intended to re-home these little fur babies, however due to their lengthy rehabilitation, these dogs are still with me today and are now a permanent part of my family. Over the years other dachshunds with special needs have likewise re-homed themselves permanently with me. I am now owned by a total of five dachshunds and have an acute understanding of what it is like to be a failed foster Mum. Many of the early rescues were homed with family members and friends, but then I found that I was struggling to find homes so I became affiliated with a dachshund specific rescue group. I have also had special needs dogs. An example is a little guy (Harry) with IVDD who was initially paralysed and is now walking and happy in his new home. Approximately three years ago I met Ricky Grierson and we immediately “clicked” due to our love of Dachshunds. We have been working together since that time. We both have a passion to safely re home these quirky little ones. 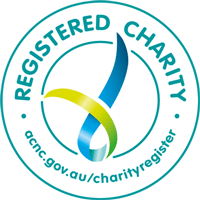 With the ever-increasing popularity of this breed and the number of dogs requiring rescue and/or re-homing Ricky and I have, along with a dedicated group of volunteers, set up our own, Queensland based, “Devoted 2 Dachshund Rescue Inc“. I am lucky to have the support of so many talented people with the devotion to find forever homes for these little dachshunds . Thank you, Ricky, Colleen, Angela, Shelley, Alan, Cameron and Coll. You are all “Devoted 2 Dachshunds” and I couldn’t do it without you.